Performance reporting and accountability are the foundations of good asset management. 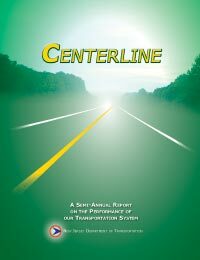 Centerline, a new publication from the New Jersey Department of Transportation (NJDOT), represents the continuing efforts to implement and advance one of the nation’s best Asset Management Programs. Centerline is a combined effort of the NJDOT to demonstrate to our stakeholders the work we are doing and how well we do it. Our intention is to release Centerline semi-annually with focus on different areas and performance measures. Future editions may include information on winter storm response, pothole patching or project delivery.